At Advanced Orthodontics Dr. Larrabee and his team truly realize the importance of not only creating healthy, amazing smiles but making it something an individual or family can financially accommodate. We take great pride in finding comfortable and affordable payment options that are personalized to meet the exact needs of each and every smile we create! We proudly offer complimentary consultations so you can come meet our team with no financial worries or obligations. All of our treatment coordinators are experienced at working with flexible down payment and monthly payment options to find something that is financially comfortable for you. Advanced Orthodontics provides all of our patients 0% interest, in-house financing, as well as a pay in full courtesy. When you call to schedule your complimentary consultation, a member of our team will gather some information regarding any dental coverage you have. We will use this information to verify your orthodontic benefits and provide a complete financial picture at your consultation. Once you begin treatment, our financial coordinator will take care of billing your insurance for you and is always available for questions regarding your coverage. If you don’t have dental insurance, don’t worry! We are experts at finding a payment plan to cover your out of pocket expenses. 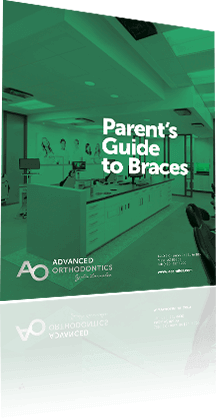 For a more in-depth discussion about dental insurance, and what that means in terms of your orthodontic treatment, checkout our blog post titled “Navigating Dental Insurance and Orthodontics”. Some of our patients find that paying for orthodontic care through an HSA (Health Savings Account) or FSA (Flex Spending Account) allows them to save money! Contributions to an HSA or FSA are tax-deductible, or if made through a payroll deduction, they are pretax. The funds can be used to pay for medical and dental expenses, like orthodontics! Still have questions regarding finances? Contact our office and a member of our team would be happy to assist you!